The inspiration for this painting I owe to the Cucuteni culture circa 4300 BC. Front and back of the same 6-inch terracotta figurine are shown. The original piece resides in the National Museum of Romanian History in Bucharest. Its precise function and form are not known. I build texture through collage and tracery in acrylic media, and depth through layers of acrylic glazes and scraped paint. I like to blend with my fingers to get the most subtle effects. 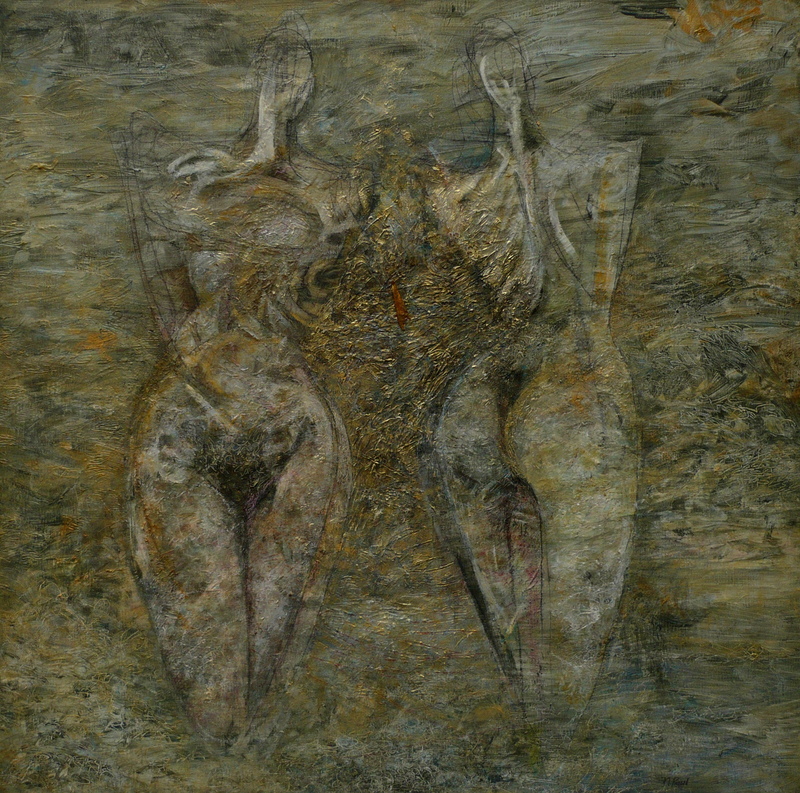 The mystery at the heart of this work is the pair of figures, like goddesses of myth glimpsed through a waterfall.